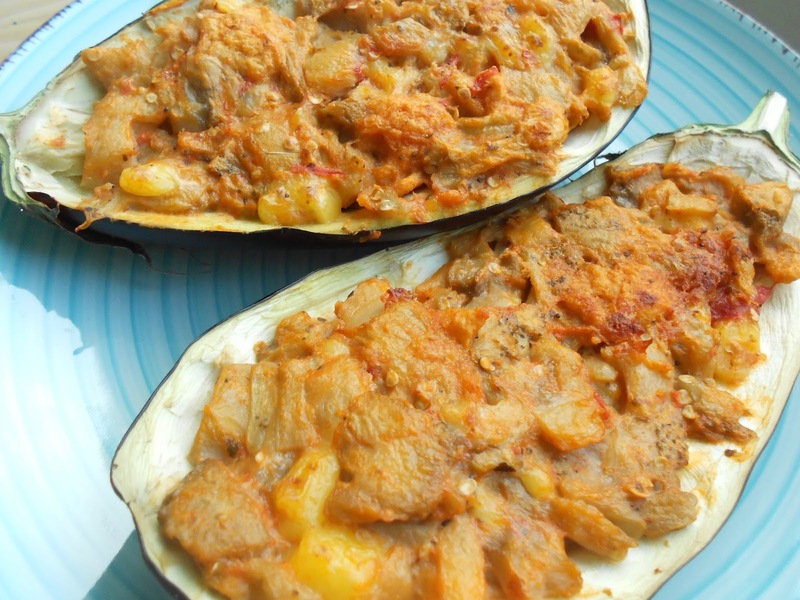 1) Cut the eggplants in half and scoop out the pulp, leaving a shell about 1 cm thick. Take care not to break through the skin of the eggplant. 2) In a frying pan, place the eggplant pulp, garlic and little olive oil, cook for 5 minutes over medium heat. 3) Add the bread crumbs and diced tomato and cook for 2 minutes. Remove from heat and add the soy cream. 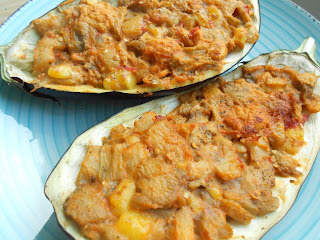 4) Fill the eggplant shells with this mixture. 5) Bake in the oven (grill), 180C for 10 minutes or until golden brown.